I’m not entirely certain where I’m going to go with this site…yet. 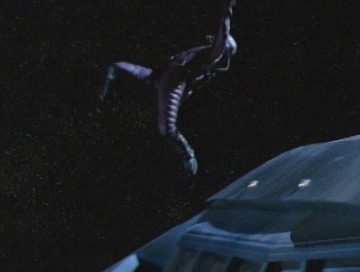 So for awhile I might be drifting around space a bit like Jubal Early at the end of the last episode of Firefly. One thing that’s certain, I suppose, is that this page will replace my original Blogspot site, which was as plain-vanilla and anonymous as I could make it. This site? Not so much. This will be a place to consolidate all my various web adventures, professional and personal, with the goal of simultaneously sharing my thoughts while keeping the world at a distance. I’m an introvert, what’d you expect? Anyhow, thank you for reading, if you’re there. More postings to come.